This Product is Available Only in the U.S. and Canada. 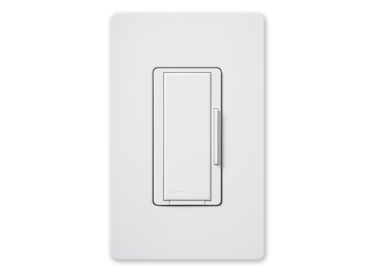 The Lutron Clear Connect CCD-RD is a 120V Accessory Dimmer that is used with CCD-6D-WH Clear Connect 600W Incandescent/MLV Dimmers. The Dimmer when added to a Clear Connect System provides light control to virtually any location, without pulling wires.